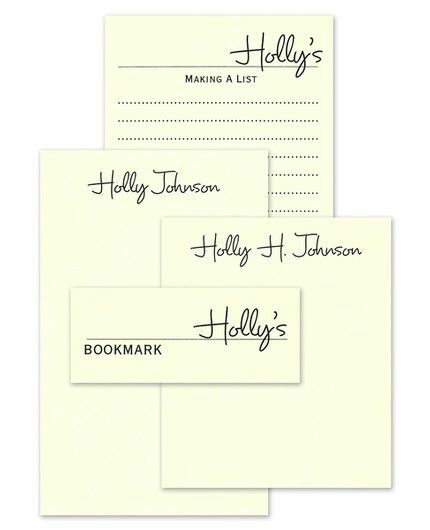 Let your personality shine in every note you write and every page you mark with personalized notepads and bookmarks. This ecru-colored set includes four 100-sheet pads in sizes 4.25" x 5", 4.25" x 8.5", 4.25" x 6.75", and 4.25" x 1.75". Complete the look by adding your name in your choice of typestyle.